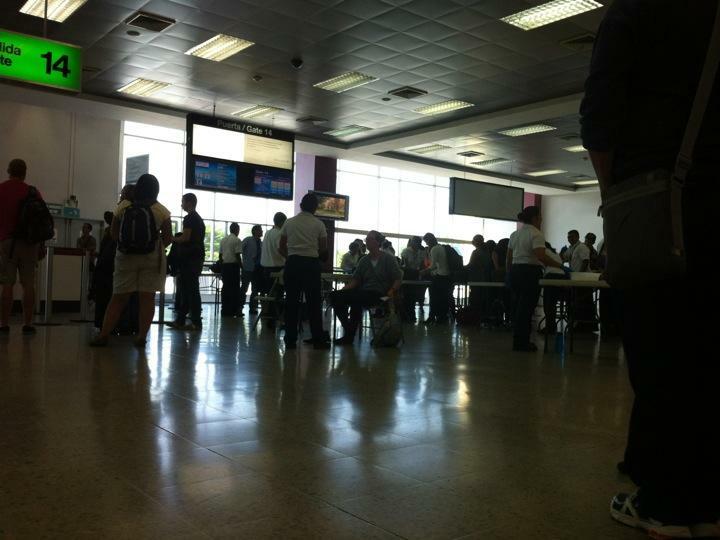 Definitely the most old school safety inspection I've seen here at San Salvador airport. No scan, no x-ray, they just open your bag, do a quick check and then a frisk. Strange, low-budget and not that safe. Just what I'd expect from central America. But hey, let's not complain, I'm only here for ten minutes. Plus: I found an electrical outlet, so I can get some juice back into my phone.